In an ever changing retail landscape, Gander Mountain is the latest victim to consolidation in the brick and mortar landscape. They filed for bankruptcy and will be closing about 20% of their stores. For now. As has been the case with many other retailers, this is often the first wave of many. Can Gander Mountain make it? That remains to be seen. What’s clear is that troubled brick and mortar stores need to make changes if they do want to survive. While there are no guarantees, here are some potential changes. This is the first and most obvious solution. Stores that aren’t making money are the first to go. Even profitable stores might need to go if the profits are trending downward. Stores need target more than just the obvious choices here. Sometimes it doesn’t make sense to close a store altogether, but instead cutting square footage might help. Stores will probably see some loss of sales, but if they can cut expenses by 50% while only losing 20% of sales, it could be enough. Over the past year, it seems that sporting good stores are among the hardest hit retailers. While there is likely a need for physical sporting goods stores, the market doesn’t need half a dozen chains. Companies may need to examine whether industry consolidation is a viable alternative. Otherwise, the market may make the decision for them. I’ve seen multiple department stores form partnerships with other brands. They do so by effectively renting floor space. As an example, JC Penney has quite a few ‘Sephora’ store-within-a-store locations within their footprint. This reduces overhead, and if it’s a good fit, customers heading to the mini-store will shop at the big store. I’ve heard that Kohl’s is looking for such partnerships as well. I was recently at a local mall that I haven’t been to for awhile, and came across an f.y.e. store. This is an entertainment store. When this location first opened about 15 years ago, it was massive, and it sold just about every DVD and CD that you could find. This came about during the heyday of ‘disc’ sales. This marketplace has shifted, and so has the store. They are now in a much smaller spot (about 20% of the original size), and while they have some DVDs and CDs, they now focus on items such as toys, vinyl, and other entertainment niche products. It remains to be seen whether this will be enough for them to survive, but I applaud the company for trying. faded, they realized that they actually had to work to draw in shoppers. Now, our nearest Disney store often has events that you can’t replicate online. This attracts shoppers, young and old, that will go to dress up as their favorite Princess, something that you can’t do on the web. 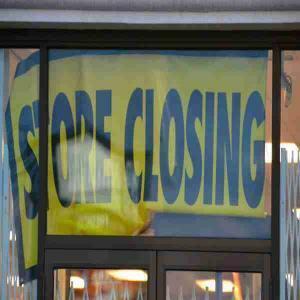 Readers, what changes do you see stores making or needing to make to stay afloat? Please let me know your observations and ideas in the comments below. Thanks for reading. I agree retail stores are going to be in tough competition for foot traffic, as online shopping continues to grow. Stores who offer to match online prices might see an uptick in sales, with a savvy tactic like special events. They have to provide value to the customer by giving them something that they can’t get from shopping online. Those who adapt will thrive. Those who don’t, will not survive. True. My biggest worries with some things like clothing and shoes is if it doesn’t fit, but my wife has said that many stores are moving to where they offer free returns in those cases. Interesting times!